Are you ready to pack your hospital bag? 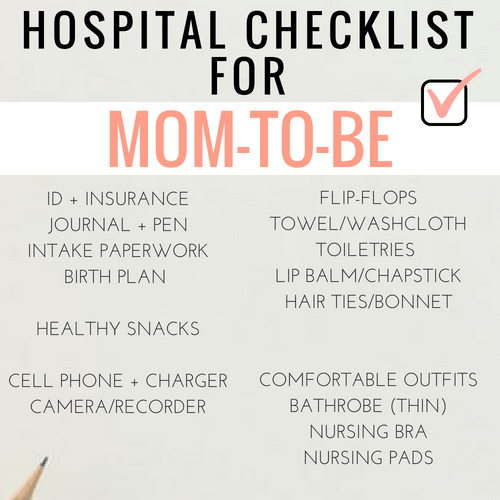 Use this hospital bag checklist to prepare for your big day efficiently. Preparing for your baby’s arrival can be exciting and overwhelming. You may have already gone through tons of information on how to prevent pregnancy stretch marks, what to eat to nourish your baby, and how to budget for your new baby. If you are the kind of person that likes to be organized and prepared, you probably already have your birth plan in place and a postpartum recovery plan too. Kudos. All you need to do now is to pack your hospital bag. I’m here to share some tips. This post contains affiliates links. See the disclosure page for more information. When I pregnant, I was like you, searching for information and checklists to make sure I’d have everything I needed in the hospital. It was weeks before my due date and my husband and I were packed and ready for the hospital. The back of the SUV was packed up like we were going on vacation and my birthing hospital was less than 15 miles from the house. 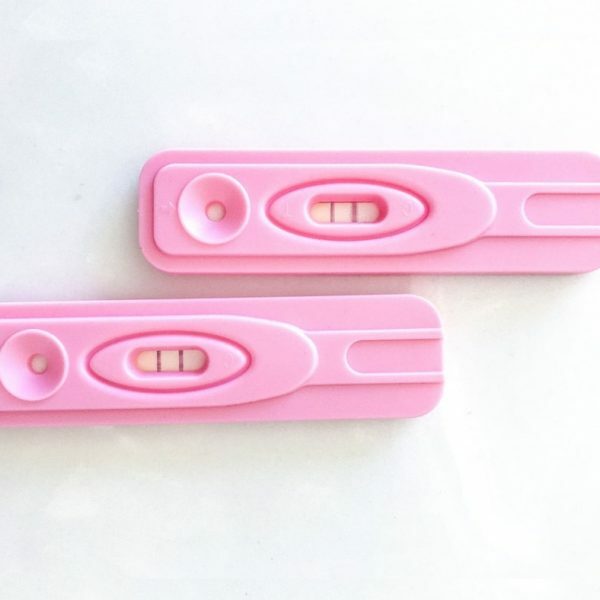 It was my first birth experience, and while I’d always prefer to be overprepared than underprepared, I had lots of items packed that my family and I just didn’t need. 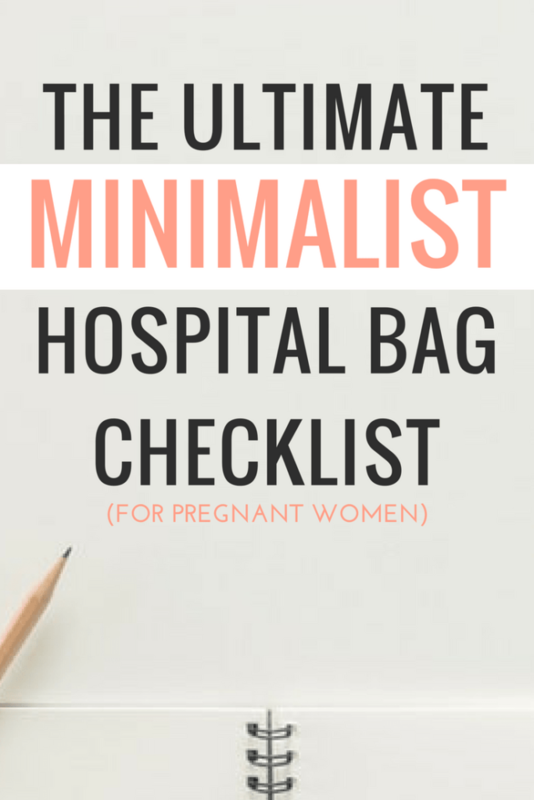 I created this ‘Minimalist Hospital Bag Checklist’ to help you pack the stuff you need and avoid lugging the stuff you don’t. 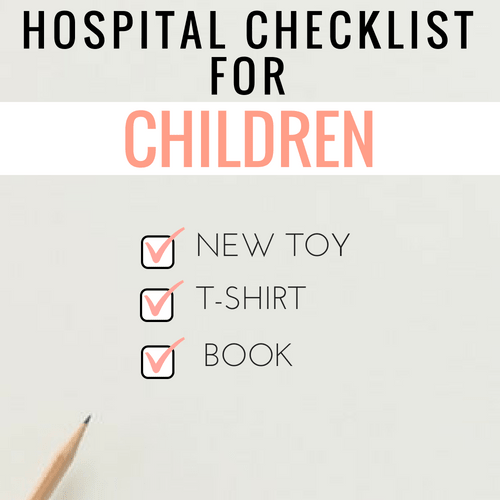 Most hospitals will have everything you need to care for your baby. There are a few must-have items like the car seat that you must provide but most items will be optional and based on your own preferences. I recommend keeping it simple. Car seat– Have the baby’s car seat safely installed and inspected (Many local fire stations can help you with this). Bringing home a new baby is a big transition for children. If you have other children, it isn’t a bad idea to try to include them in the process in fun ways. It can start with their first visit to the hospital. New toy– An age-specific toy or treat from the new baby. Shirt– Fun big brother or big sister t-shirt. 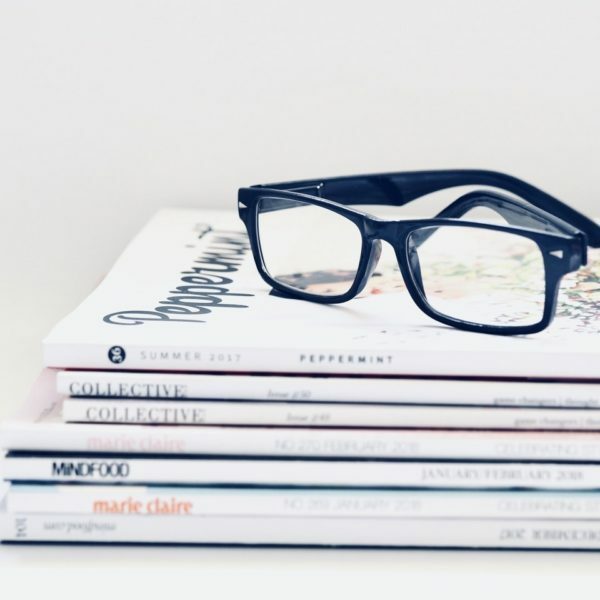 Book– A book that can be read to the baby as a family. Journal and a pen-You will need to complete several forms including the birth certificate. Also, a journal is a great way to capture thoughts or information you don’t want to forget. 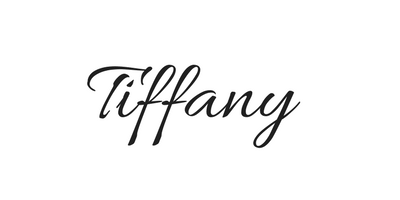 Have a page ready with names of everyone you want to notify after you give birth. It’s a great way to not forget about anyone. Hospital intake paperwork– The worst thing to have to do is to answer lots of questions while you are having contractions. I highly recommend stopping by your birthing hospital and collecting the paperwork that they require at intake. Have it filled out and ready in your bag. Birth plan– If you have a birth plan, pack a copy. It’s great motivation while you are in labor. Inexpensive flip-flops and/or slippers– You probably don’t want your lovely feet to touch the floor of the hospital room or the restroom. Also, you don’t want to wear those same flip-flops/slippers in your home so investing in pricey footwear isn’t recommended. You can get flip-flops or thongs (as they are called Down Under) for a dollar at the Dollar Store!! Towel/washcloth– If you cringe at the idea of using hospital towels, bring your own. Facial cleaner and moisturizer– Your skincare routine shouldn’t be neglected. Toothbrush/toothpaste/toothpowder/mints– you’ll be in the hospital for a few days. Bring whatever you use to keep your mouth fresh and clean. If you can grab the travel sizes, that’ll save you space in your bag. Deodorant – My current favorite deodorant is all natural and aluminum free. Moisturizer– I enjoy using oils. They are perfect for moisture and massages. Lip balm/chapstick– don’t be that new mom with dry cracked lips it’s uncomfortable and will all the other discomforts you can’t avoid, this shouldn’t be one. Bonnet– Curly girls need to protect their hair while they are sleeping. Pack whatever night protection you use. If possible, it’s not a bad idea to have an easy protective/low maintenance hairstyle. Hair bands/ties– You can use hair bands to keep your hair secured back and out of your face. Soft comfortable clothing– a few comfy outfits for the hospital and a going home outfit is a must. Bathrobe (thin)-I wouldn’t recommend you pack your thick plush terry bathrobe. Just have something that is simple that provides comfortable coverage. There may be a day when you don’t want to put on clothing. Nursing bras-Find bras that make it easy to nurse and offer support. Nursing pads– You may have some leakage. There are disposable nursing pads and washable nursing pads you can use. Healthy snacks– giving birth is exhausting and you will want to avoid hanger. Often times, your guests can bring you food (if you are against the hospital food) but having snacks that you can grab at any time of day is essential. I currently have a massive crush on Trader Joe’s Snacks. If you have one in your area, check out this healthy snack list for inspiration. Going off the grid for a few days after giving birth isn’t a bad idea, but if you want to stay connected grab your technology. Have your awesome music playlist ready. Camera/Video Recorder– if you don’t have a professional service coming in to photo/record your birth, consider bringing a camera and an extra memory card to capture your experience. When guests arrive, you won’t have to hand over your phone to share recent photos. Breastpump– Planning to breastfeed? Find out if you can get your pump for free with your medical insurance before purchasing. While most hospitals will have breast pumps for you to use, this is a good opportunity to get help and practice using your own with professionals around. If you do end up pumping in the hospital, you’ll want to have breastmilk bags. No pumping and dumping that liquid gold! Birthing ball– many hospitals have birthing balls but if they run out or you prefer to use your own, pack it. If you do use a hospital ball, you can have your nurse or doula lay a towel over it. Mesh undies– The hospital will provide mesh boy-short like undies. If you prefer to have your own supportive undies, you can bring your own. I didn’t mind using the meshies and liked the idea of not ruining my own. Depends– The hospital will provide thick pads but you can bring your own pads or depends. Bellefit Girdles or Belly Bandit– for postpartum support of the abdomen. 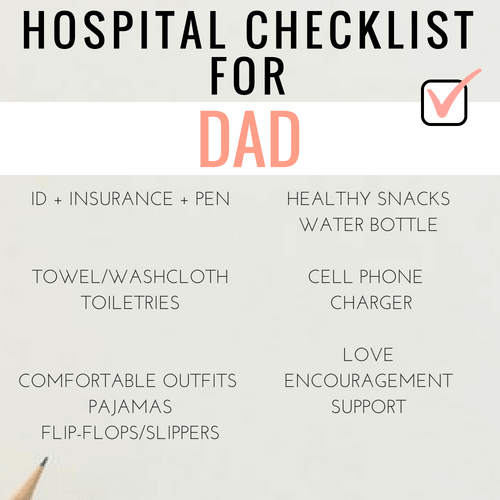 Towel/washcloth– Dads/partners will want to take a shower and get fresh, if he/she doesn’t plan to leave the hospital at all. (My husband stayed all 3 days). Comfortable clothing– A few outfits for the hospital if he/she will be staying in the hospital. Pajamas for the night– Sleepwear if he/she will be sleeping over at the hospital. Healthy snacks– Vending machine prices are crazy high and the selections aren’t very healthy. Instead, pack lots of healthy snacks that can be shared. 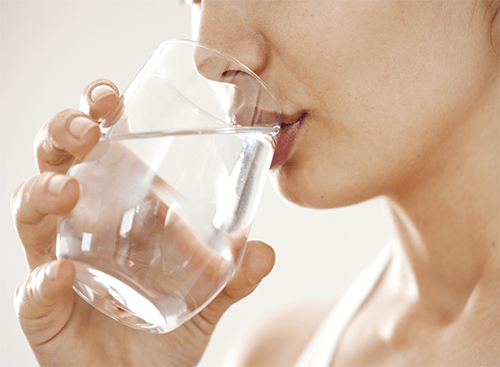 Water bottle– Having a large water bottle to stay hydrated is great. While everyone is taking care of mom and baby, dad/partner is covered too. Your full makeup kit. Grab what you need to look fresh but you probably don’t need to pack the full-on contouring kit. Pillows– Many hospitals are pretty accommodating. If you want more pillows, request more. Books– I recommend using your free time to rest and nap. I didn’t do any casual reading at all while I was in the hospital because I arrived when my contractions were coming every five minutes or so. After giving birth, still no reading, I was exhausted and when I had ‘free’ time, I used it to nap! You probably have your estimated due date (EDD) in your head as your birthing date, but really your baby will likely decide on when you will go into labor. * If you have a planned cesarean, then you do know the exact date of your birth and you can skip to the next section. My daughter decided to wait a week and a half after my EDD to grace us with her presence. I know some moms who had children who refused to wait until the EDD and came weeks early. So, given the unpredictability of babies, it isn’t a bad idea to be prepared three-four weeks before your EDD. OK. This post was long but I hope these tips are helpful. Also, remember the best thing you can take with you to the hospital is a positive attitude. Good Luck! 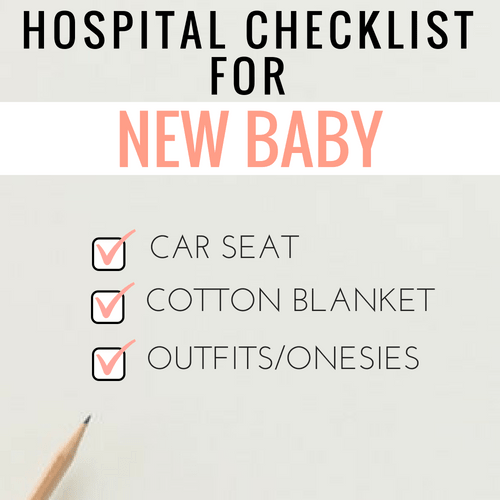 If you ‘ve already had your little one, I’d love to know if there is anything missing from the list that you found incredibly useful to have in your hospital bag?